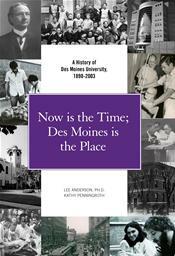 Now is The Time; Des Moines is the Place A History of Des Moines University 1898-2003 Des Moines University has survived against the odds for more than 100 years and successfully built a legacy of excellence in health sciences education. Throughout those years, there are stories of virtue, vision and hope, as well as episodes of questioned leadership, meager resources and frayed credibility. DMUs history is intertwined with the history of osteopathic medicine and the development of the health care industry in the United States. 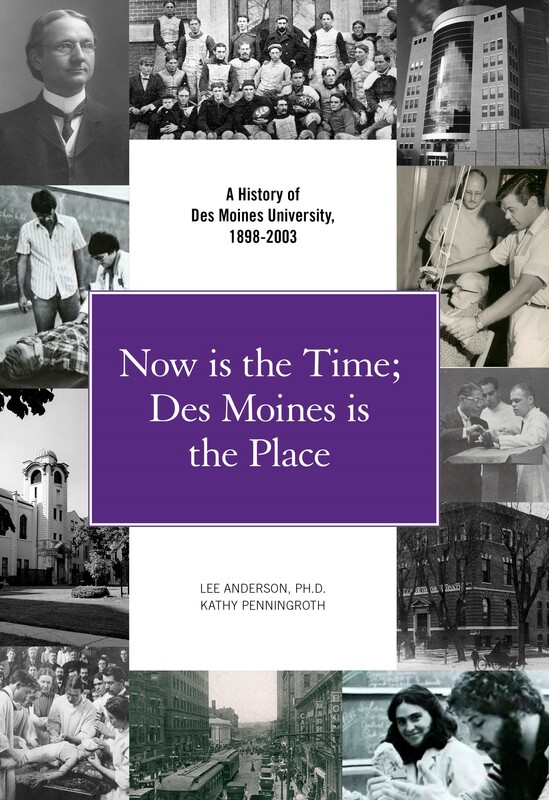 This book covers the years 1898 to 2003, illustrating in each chapter how effective leaders can advance an institution and how committed faculty, loyal students and a generous community can defy the odds against success.